You can hear the carnival-esque music from this 1917 Herschel carousel from down the street. 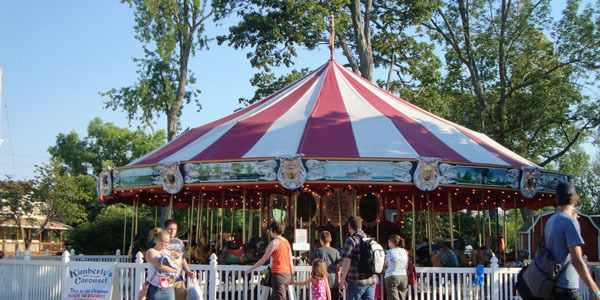 Kimberly's Carousel is one of the last merry-go-rounds in operation in the country, and South Bass Island is proud to be its home! Take a ride on a chicken, pig, rooster, cow or the island favorite – Pete the Perch. Tickets can be purchased inside The Carriage House for $1.50.